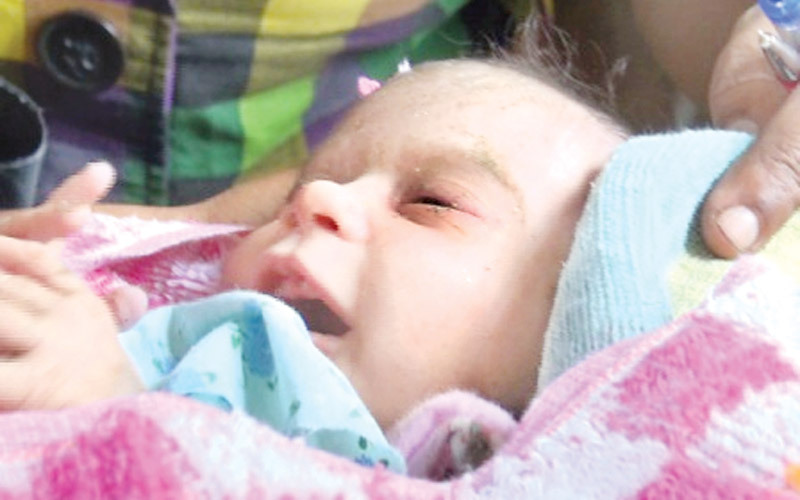 The 18-day-old infant girl wrapped in a piece of cloth and found abandoned by her mother at Kandy Dangolla Junction on October 6 is now under the care of the Peradeniya Teaching Hospital. Doctors said the infant fed on powdered milk in place of mother's milk is in a critical condition. The infant's mother claiming to be a resident of Penideniya had left a letter written by her near the infant saying she was not in a position to bring her up as she is already a mother of four struggling in a state of poverty. Peradeniya Police investigating the incident is going through records of child births at the Peradeniya and Kandy Hospitals during the past one month in an effort to trace the mother involved.